Houston Police Department: Avast, me hearties! 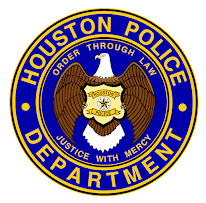 The Houston Police Department will help raise money for Special Olympics of Texas at the Pirates of the CARisma carwash, 5203 Kirby Drive. HPD "pirates" will take over the car wash on October 29th and encourage people to get the $10 car wash at CARisma. With each $10 car wash in October (enter Code 3333), CARisma will donate $4 to Special Olympics of Texas. The fundraiser will begin at 8:00 am and last all day. From 8:00pm-10:00 pm the carwash will close and a kid friendly "pirate adventure" will be the theme, donations to Special Olympics will be accepted. 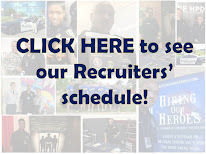 Contact the Houston Police Department at 713-308-1860 or CARisma Car wash for more information. If you would like to help out and volunteer your "Pirate" within you. Please call Assistant Chief Lumpkin's office at 713-308-1860. 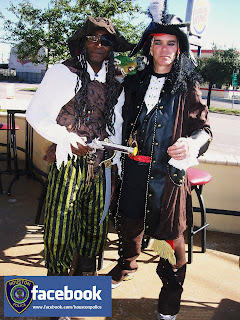 You will get to dress up as a pirate and it will be for a worthy cause.